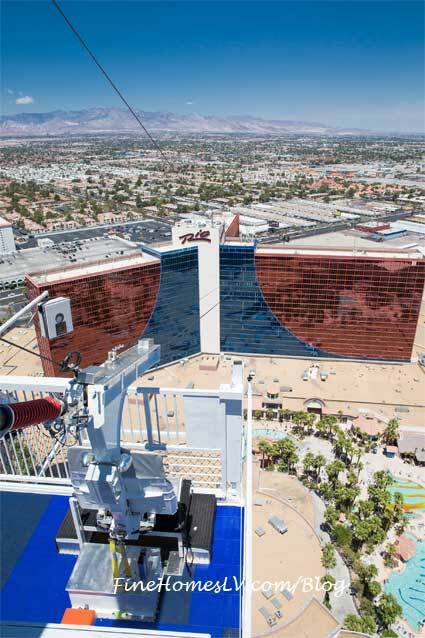 Created by New Capital Ventures, VooDoo Zip Line accommodates two riders at once and connects the two towers of the Rio Las Vegas. The attraction begins on the patio of VooDoo Steakhouse, located on the 50th floor of the Masquerade Tower, and propels riders at speeds up to 33 miles per hour to the adjoining 20-story Ipanema Tower. Guests make a return trip to the starting point traveling backwards at 20 miles per hour. 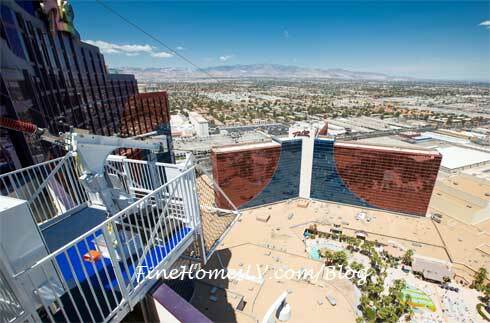 Offering one of the best views of Las Vegas, VooDoo Zip Line boasts a 360-degree panorama of the Strip and scenic views of the surrounding mountain ranges. 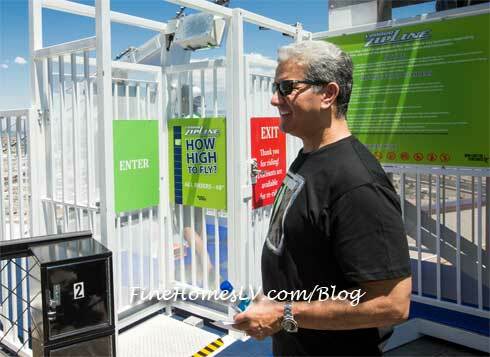 Hours before the event started, thrill seekers lined up at the door to be among the first to ride Las Vegas’ newest attraction. 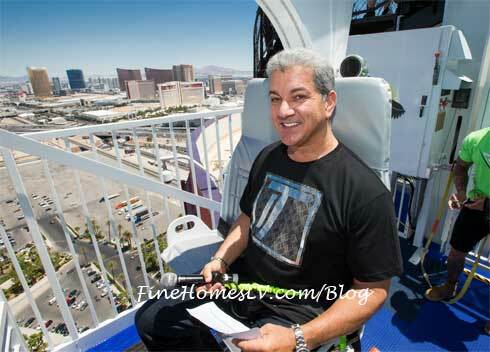 Buffer kicked off the event as he buckled up and yelled his signature catchphrase “it’s time!” while soaring almost 500 feet in the air. A line continued out the door throughout the afternoon. To maximize guests’ experience, VooDoo Zip Line reduced unnecessary wait times by allowing patrons to dine, gamble and enjoy the property while waiting for their reservations. An alert was sent to guests’ cell phones when their ride time was ready. Prior to boarding, all riders received a safety briefing and ride operators were available to answer questions. 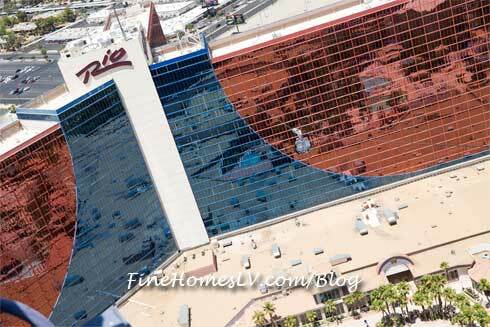 VooDoo Zip Line is open from noon to midnight Monday through Thursday and 10 a.m. to midnight Friday through Sunday. Admission is $24.99 (plus applicable services fees) per person from noon to 5:30 p.m. and $37 (plus applicable services fees) per person from 5:30 p.m. to midnight. Only patrons 21 years of age or older are allowed to ride after 8:30 p.m. Tickets can be purchased online at www.VooDooZipLine.com, Rio Las Vegas or by phone at 702-388-0477.